Many different systems and traditions of magic, divination, spirituality, and esoteric religion exist, but at their core, they share the need for practitioners to safely and successfully experience the reality that lies beyond the physical senses. 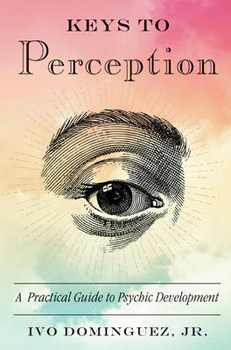 Keys to Perception: A Practical Guide to Psychic Development is a collection of proven and tested methods, rituals, and systems that will help you deepen and clarify your capacity to sense and understand the rich worlds beyond the veils of the ordinary. The material in this book derives from decades of work by the author and his students. Dominguez offers the reader practical techniques for increasing psychic aptitude and ability. Methods featured include chanting and working with crystals, chakras, oils, herbs, and potions, as well as a variation on the Middle-Pillar Ritual.